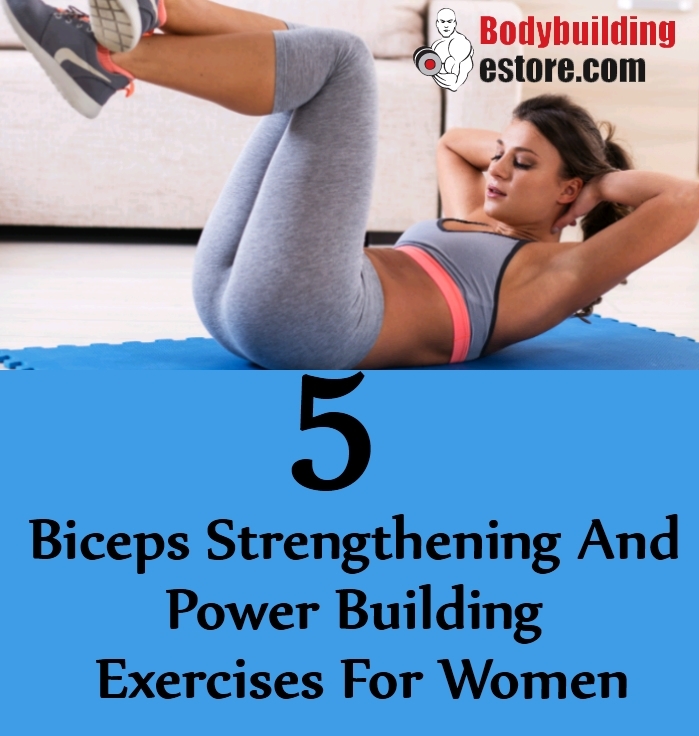 Women are also quite fond of toned and love to train their biceps just as men do, especially those who are looking forward to improved sports performance with better strength power and grip. Biceps exercises for women are aimed towards building functional strength, power, and endurance which brings in confidence and poise. Do away with all myths that weight training is just for men because weight training is all about great fitness levels and nothing related to gender. Most women are scared of building bulky muscles like men – the truth is that it is not possible because of difference in hormones in men and women. However, it is possible to build strong biceps muscles with specific training exercises. If concentration biceps curls are done in the right way they help in building strong biceps muscles and concentration on power building of the specific muscles. You can do this workout by standing in a bent position. You can also sit down bent over a bench. Your arm shall be in front of your body. You need to slowly curl a dumbbell upwards and move it towards your opposite shoulder. Your shoulders need to be relaxed so that your biceps are targeted. Your wrist at this point should be straight. It should not be flexed. You need to workout one arm at one time as you do the workout. Repeat at least 12 times for a set. Repeat two sets as you start. This exercise helps women in building stronger biceps and overall power to the arm muscles. You need to start by placing a leg on any stable surface. You can use a bench for the purpose. You will be engaging your core and glutes muscles which will help in building strength. Relax your neck and shoulders as you slowly bend your legs. This will help in building soft knees. You need a medicine ball in a single arm and start to bend from your knees and hips. Move down your torso till it is quite parallel to the ground. The ball shall be hanging from the length of your arms and just in front of the shoulders. You can then bend down your elbows and slowly pull the medicine ball to your side. You will be rowing the ball and rotating it on the same side of your body and in an upward direction. Stop for a while and then slowly move your body down. You can repeat 12-15 times. Do 2-3 sets as per comfort level. This is the most recommended exercise by fitness trainers for women. This workout helps in targeting the complete bicep muscles. It also helps in improving circulation and builds flexibility in the muscles. You need to start the exercise by holding dumbbells by your sides. Your palms shall face the hips. You need to slowly curl up, just in front of the shoulders. You will be turning the palms forward as you move. This movement is known as supination. You will be working out one arm at a time or you can do two arms at the same time also. This shall help in maximizing the efficiency of the biceps exercise. Start by placing your body in a push-up position. Rest comfortably on the floor. Your feet shall be on the fitness ball. You need to activate your core muscles by slowly pulling your navel towards the spine and then squeezing your glutes. You will start in a comfortable plank position. You will slowly lower and move your chest close to the floor. As you reach the floor, you can press your body up and get back to the start position. You need to do this 12-15 times for a set. Do 3 sets.